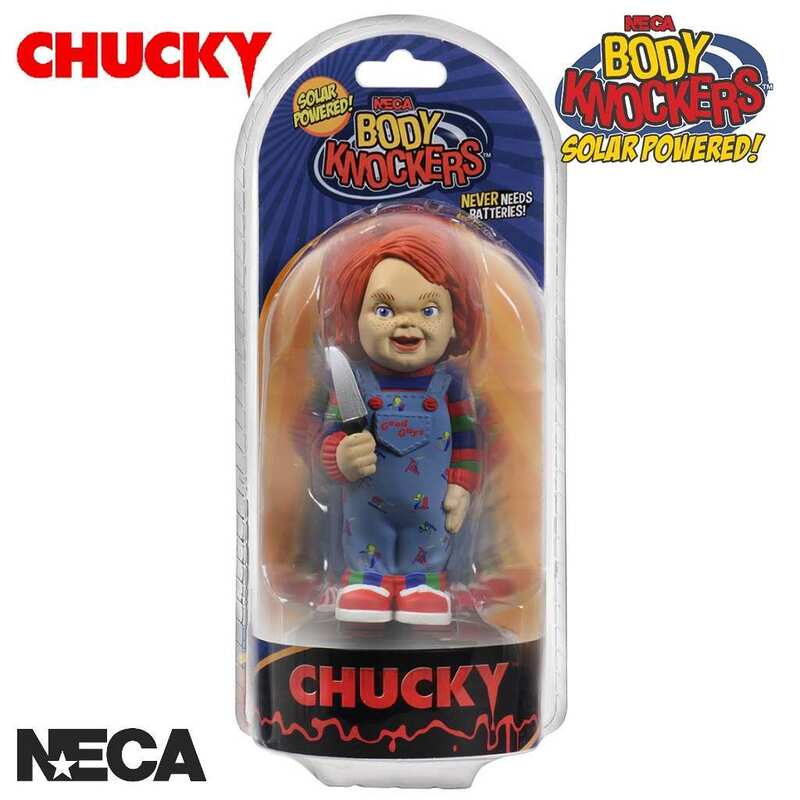 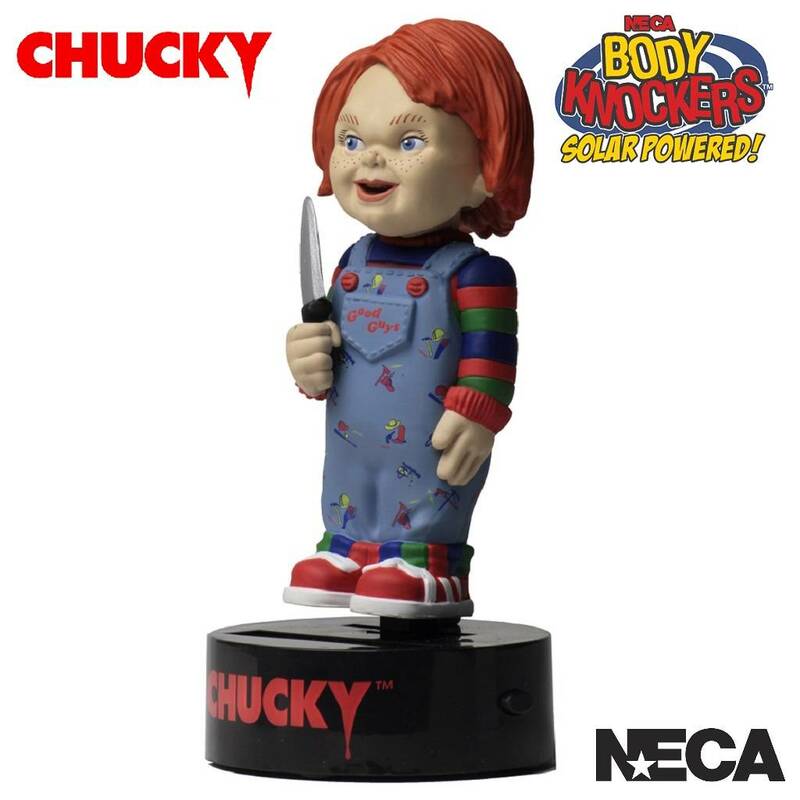 Check out NECA's solar powered Chucky Body Knocker which will give you hours of enjoyable body-bobbling fun being powered directly by the sun! 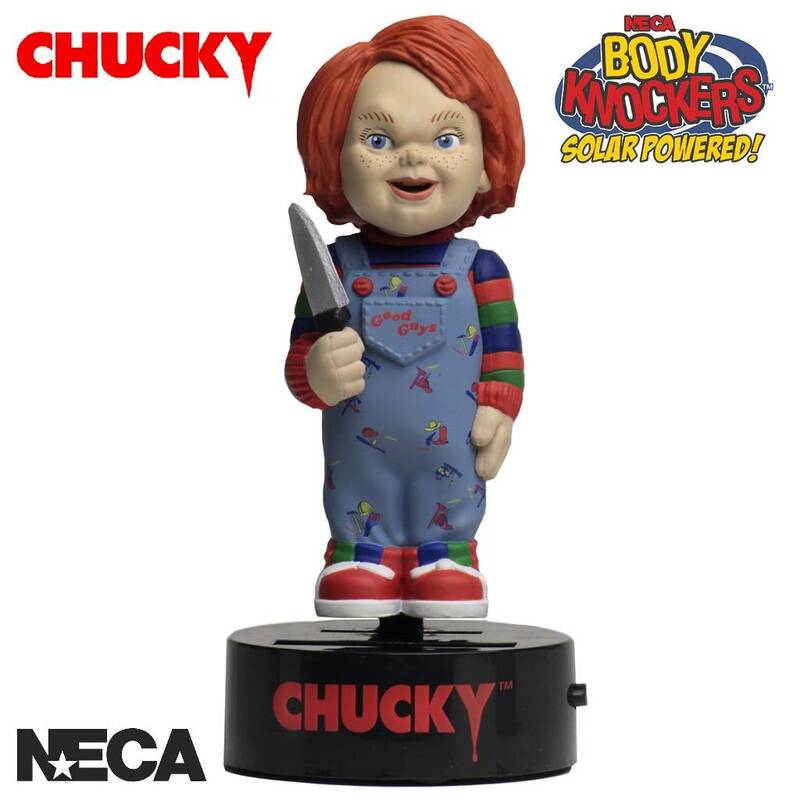 Check out NECA's solar powered Body Knockers which will give you hours of enjoyable body-bobbling fun being powered directly by the sun! 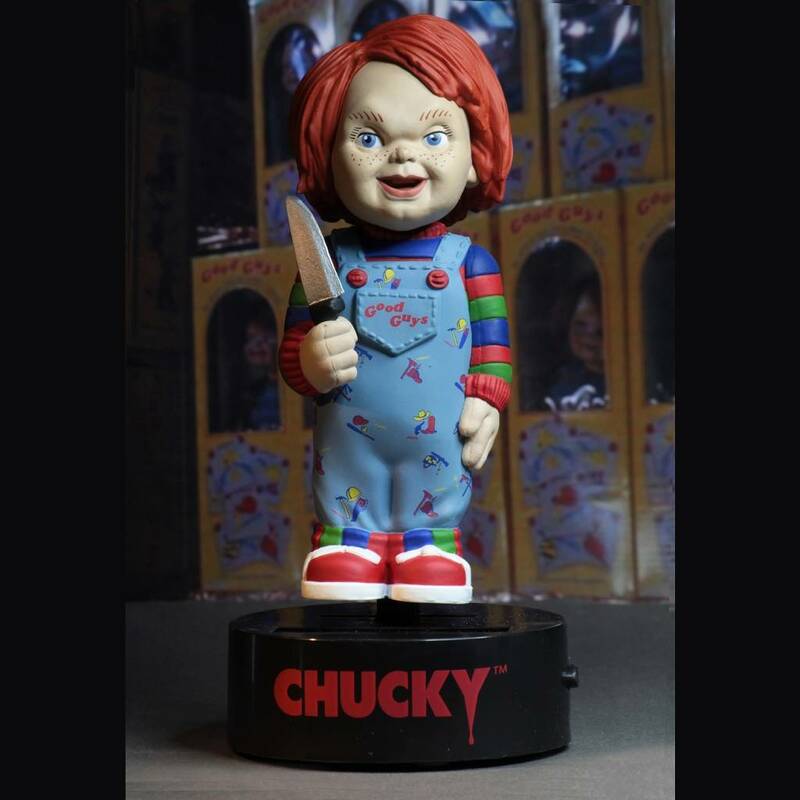 Standing at 6.5" in height and coming directly from the horror film Child's Play, we have Chucky which rocks from side to side when exposed to light.